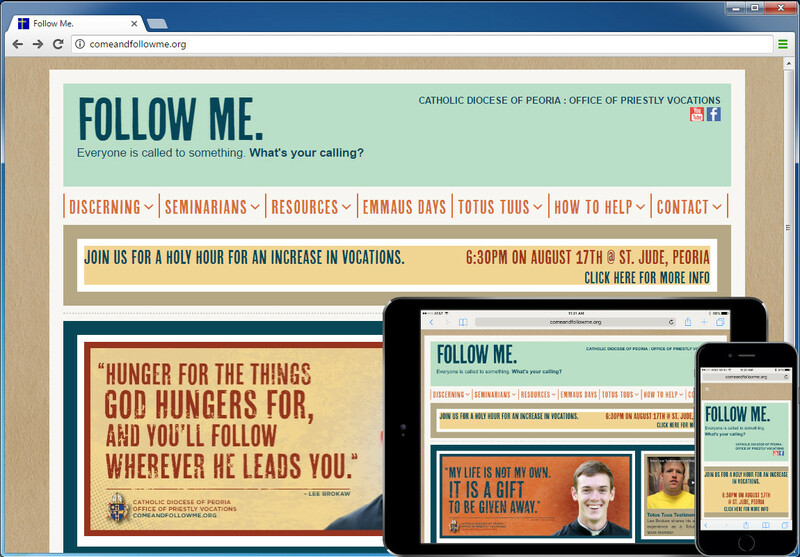 The Catholic Diocese of Peoria Vocations web site is dedicated to providing information to people who have been called to ministry. The web site is a fully custom WordPress theme converted from their original Joomla! site. During the conversion, I also made the site responsive, changed the menu from images to text with their custom font, tweaked SEO, and migrated their blog from a wordpress.com blog to be integrated with their new site.